Automotive authority, Kelly Blue Book recently named four Ford vehicles as winners of the 2016 5-Year Cost To Own Award. The 2016 Ford Focus ST, F-150, Explorer and Mustang GT were all recognized for offering the lowest projected ownership costs in their class. Based on the estimated out-of-pocket expenses drivers will incur beyond the initial purchase of their vehicles, award recipients were determined by a combination of lower vehicle depreciation, insurance and maintenance costs. The 2016 Ford Focus ST, F-150, Explorer and Mustang GT were recognized for low vehicle depreciation, low insurance costs, low maintenance costs and/or a low KBB Fair Purchase Price. These 2016 Ford models all offer new technologies and improved features. 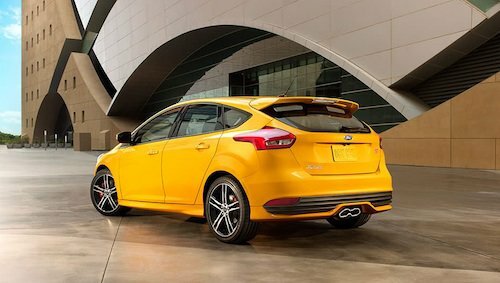 The new Ford Focus ST is equipped with Ford’s new SYNC 3 operating system with voice recognition and entertainment features. The F-150 has segment-first Pro Trailer Backup Assist technology not available on other trucks in the same category. The Ford Explorer has front and rear cameras and several park assist features unlike other SUVs in its class. The exceptional performance features on the Mustang GT, including aggressive brakes and new body structure aerodynamics, set this muscle car apart from the competition. Our Ford Dealership offers a wide selection of these new, cost effective 2016 Fords near San Francisco, California. Why not stop by and test drive one today?